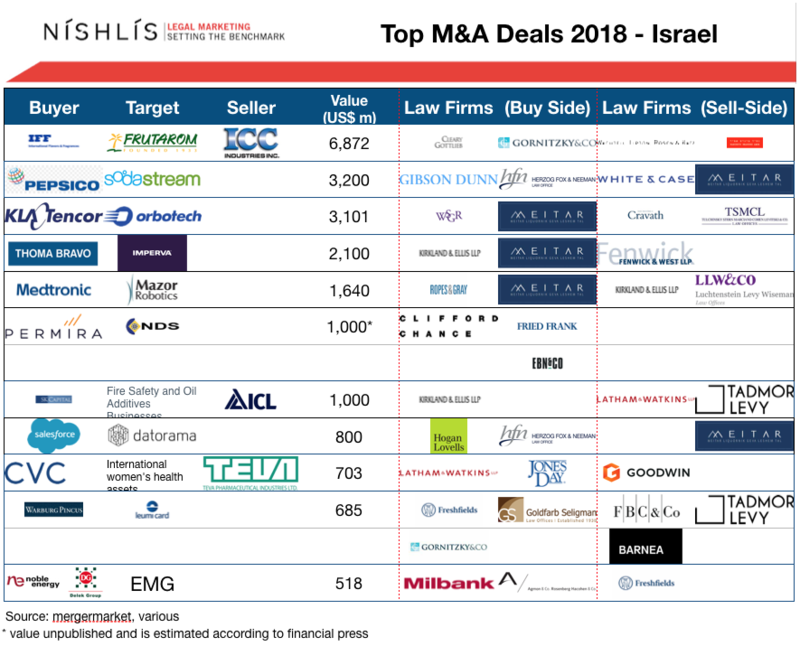 2018 proved to be an impressively strong year in Israeli M&A, and the best year in terms of value since 2012. The number of deals involving Israeli companies reached 132 M&A deals, seven more than 2017, and despite Intel’s eye-watering USD 15.3 billion acquisition of Israeli chipmaker Mobileye in 2017, 2018’s total deal value still surpassed that incredible bar by 1.4% at USD 25.7 billion. In 2018, there were 5 deals of more than USD 1 billion, with average deal size jumping to USD 267 million, up from USD 142 million in 2017, not including Mobilieye. 2018 was the first time in many years that high-tech did notlead the tables, with Israeli industrial companies leading the action: International Flavors & Fragrances purchased Frutarom for USD 6.9 billion and Pepsico acquired SodaStream for USD 3.2 billion. Nevertheless, around 40% of deals were in the technology, pharma, medical and biotech fields. 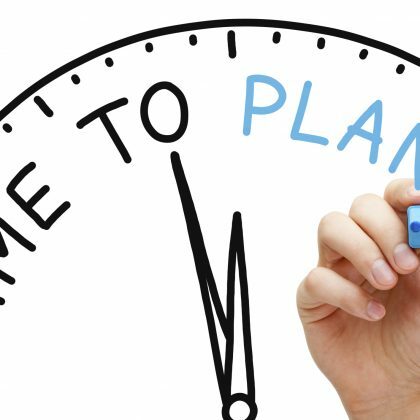 For example, the top deals in 2018 included the USD 3.1 billion acquisition by Nasdaq-listed semiconductor company KLA Tencor of Orbotech Ltd., an electronics manufacturing equipment maker; Technology investment firm, Thoma Bravo bought Nasdaq-listed information security company Imperva Inc. for USD 2.1 billion; and Medtronic PLC purchased Israel-based Mazor Robotics Ltd., a developer of surgical robotic guidance systems. Domestically, Meitar were involved in four of the top 5 deals by value and five of the top 12. Only three other Israeli firms were involved in more than one matter, of the top 12 transactions, Herzog Fox Neeman (“HFN”), Tadmor and Gornitzky (two matters each). Along with Meitar and HFN, Naschitz Brandes Amir, Yigal Arnon and Erdinast Ben Nathan Toledano & Co. are the five most active Israeli firms in M&A, according to Mergermarket. Internationally, more and more firms are advising on Israel’s cutting-edge deals. In 2018, there were 38 international law firms involved in M&A transactions relating to Israeli companies, and almost half of them involved in more than one transaction. Magic circle law firm, Freshfields, and DLA Piper top the charts but Wilson Sonsini Goodrich & Rosati, Latham & Watkins, Pepper Hamilton, Cooley and Greenberg Traurig are also among the most active international law firms in the market, showing that U.S. law firms tend to dominate. In fact, Kirkland & Ellis performs strikingly well, involved in 3 of the top 10 deals. 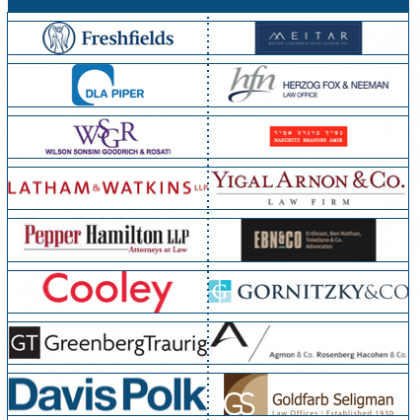 The strong presence of the U.S. law firms in the Israeli M&A market mirrors the high volume of inbound M&A, with the appeal of Israeli innovation to foreign buyers a clear factor. In 2018, foreign investments in Israel almost doubled to USD 17.6 billion from USD 9.1 billion in 2017, with the U.S. accounting for almost three quarters. Now though, even more so, Israeli buyers are increasingly, and confidently, looking abroadfor global expansion. Israeli companies bought 28 foreign companies in 2018, almost double that of 2017, and around half of these transactions involved U.S.-based companies, mainly in the technology sector. 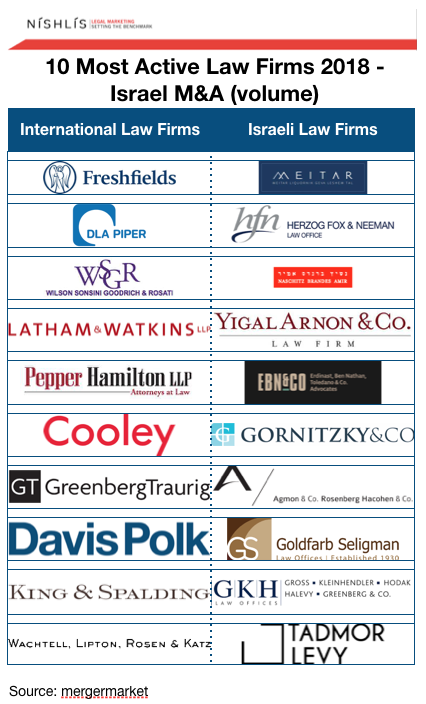 In a preview of the inaugural Israel Desks League Tables, due to be published shortly, many international law firms advised on joint ventures or the launch by Israeli companies overseas. Note: Data reviewed comes from IVC Research Center Ltd. 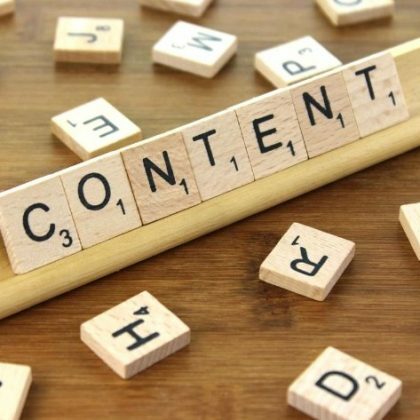 Start-up Nation Central (SNC), media reports and other sources.